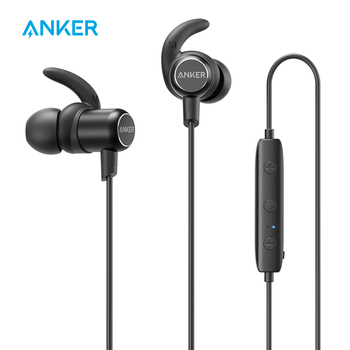 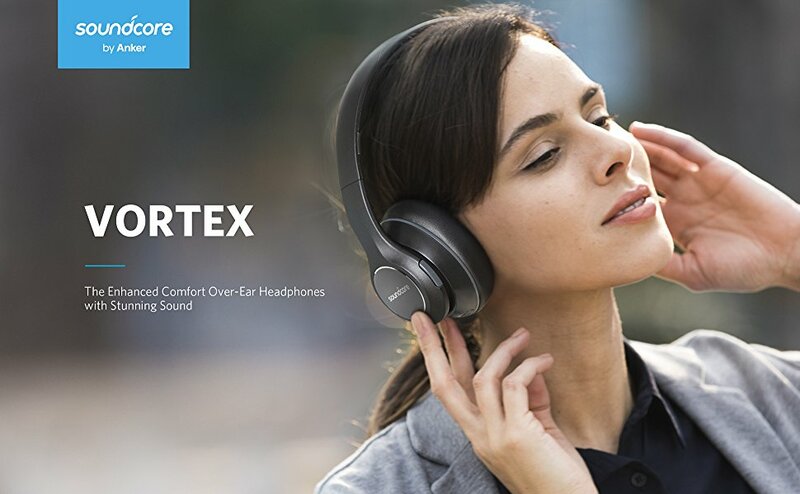 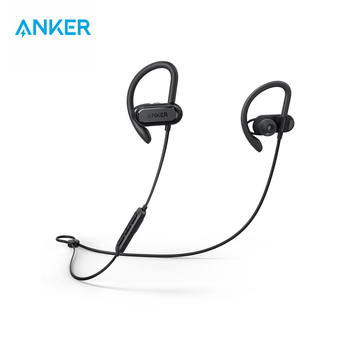 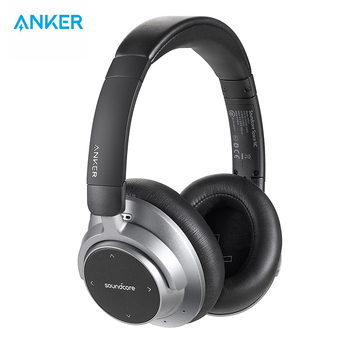 Get swept away by the music and engross yourself in rich, professionally-tuned audio with aptX high definition sound. 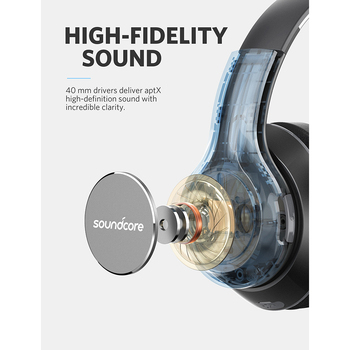 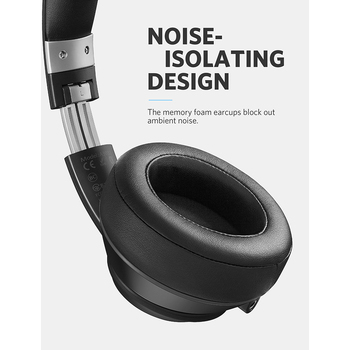 Every aspect of your music is heightened with brilliant treble, smooth mid-ranges, and deep bass. 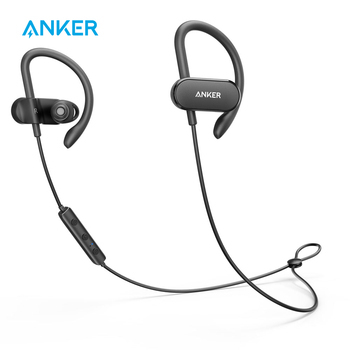 Vortex unites a high-performance Li-Polymer battery with Anker’s leading power management technology for up to 20 hours of playtime in wireless mode. 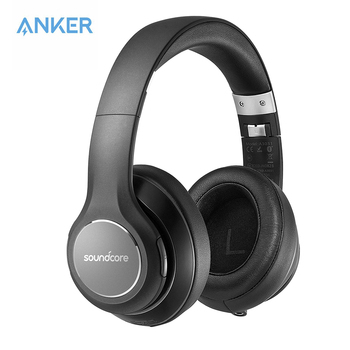 Alternatively, plug in the AUX cable for never-ending music playback. 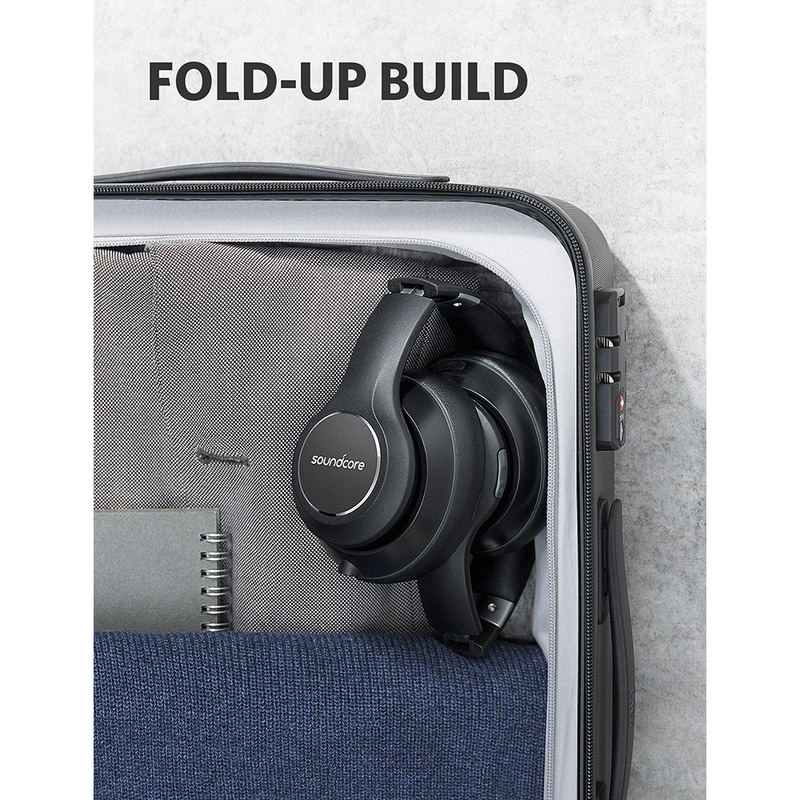 Fold flat and store Vortex together with its accessories in the hard-shell travel case. 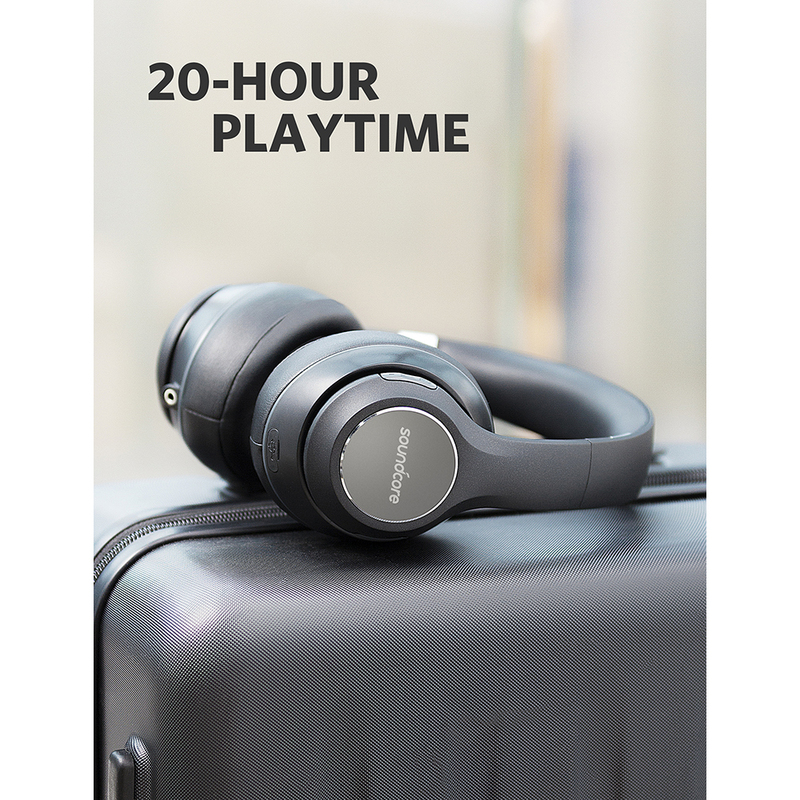 Transport your headphones safely while you travel, or stay organised at home and work. 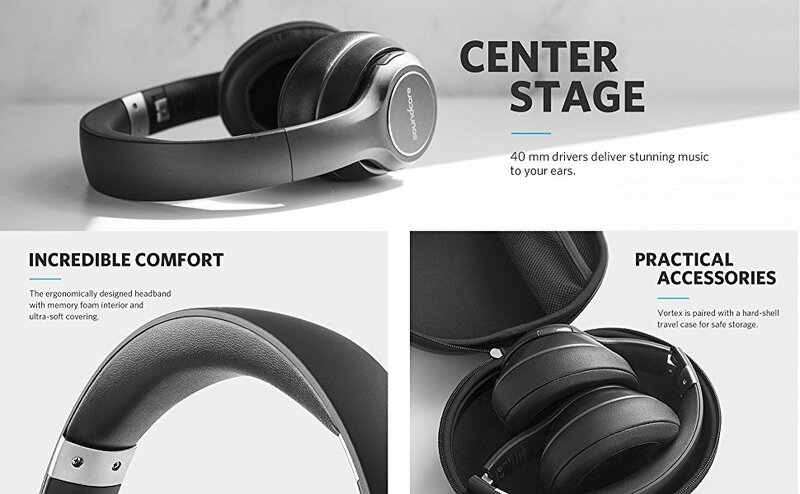 Whether you’re listening for 10 minutes or 10 hours, the memory foam filled ear-cups and headband offer a comfortable, secure fit. 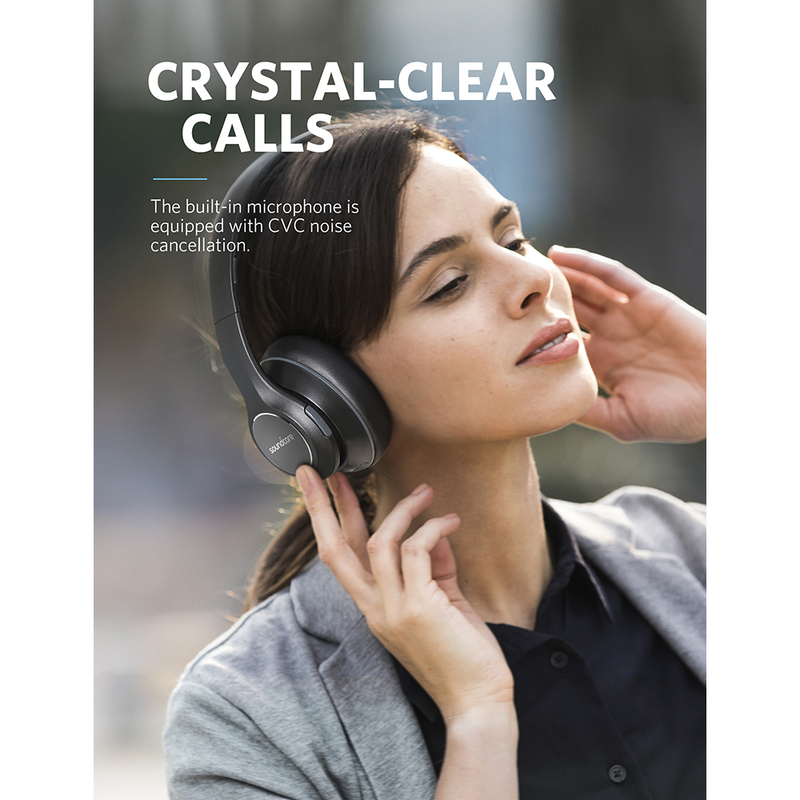 Vortex’s built-in microphone and multi-function button allow you to answer calls without removing your headphones or reaching for your phone. Soundcore Vortex, 3.5 mm AUX cable, Micro USB cable, travel case, welcome guide and friendly customer service.